We will welcome you in Cairo airport then transfer to your hotel for check and overnight. Your tour manager will provide quick revision of the agreed itinerary and the pickup times then get the complimentary dinner in your hotel and overnight. 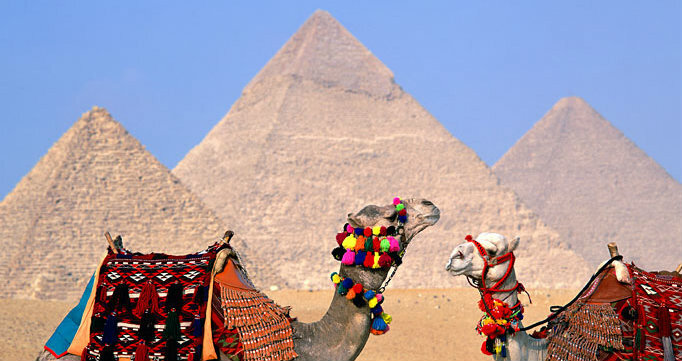 Breakfast in hotel then join your personal guide to the Great Pyramids of Giza & Sphinx, the read there is ranging between six and thirteen thousand years old, you will wander the Valley temple the city side of the plateau then enjoy some free time for taking images or getting inside any of the 3 pyramids. Get your lunch in good quality restaurant then proceed onto the Egyptian Museum to admire an enormous collection of ancient Egypt antiquities displayed in the 2 floors building, the highlight is Tutankhamen superb treasures and death mask. Late transfer to Khan El Khalili Bazaar to explore in leisure and purchase some cheap souvenirs of Egypt then transfer back to hotel and overnight. Breakfast in hotel then transfer to Cairo International airport to get the flight back home. Price is always valid except for Easter & Christmas periods. Children under 2 years old are free of charge in all similar tours. Children between 5 and 5.99 years would pay 25 % of adult price. Children between 6 and 11.99 years would pay 50 % of adult price. 50 % down payment is required to confirm Easter & Xmas bookings.